What makes photography unique is that it has two components that are very different and, sometimes, even contradict each other. One element is technical and the other is artistic. The technical component involves an understanding of some mechanics, optics and physics and, at a lesser extent, the chemistry that was replaced by electronics. The artistic components include understanding and mastering the concept of composition, color theory and design. As a photographer, you cannot excel in photography unless you master both components. They are both equally essential to the ultimate goal of photography—creating impactful images. The placement of the subject within the frame is just one aspect of composition. Others, such as the use of line, colour, tonal contrast and balance, all play a part. Prioritising placement and ignoring the rest is unlikely to result in a good composition. But, at the same time, the two components require different approaches to learning. Based on my experience, it takes about 12 months to learn the technical fundamentals. If you put forth enough effort, after 12 months you will venture away from the auto settings on your camera to embrace more creative modes while achieving proper exposure in difficult lighting conditions with spot-on focusing. When I bought my first Canon DSLR, the most important and valuable learning resource for me was the Pocket Camera User Manual that came with the camera. For an entire year, I kept the manual in my pocket and used it as a reference guide for learning different camera functions. Unfortunately, there is no pocket manual for learning composition. What makes learning composition so challenging is that we deal with very subjective matters where there is no obvious right or wrong. Everything is open to interpretation. On top of everything, learning something as artistic as photography composition takes time. It is a long game. You cannot put in extra work and learn it in 12 months. As an artist, your eye for composition evolves over time and incrementally shapes your personal style and artistic vision. With that said, I believe that I discovered an almost-perfect resource and companion for learning composition—Andrew Gibson’s book, "Mastering Composition". Andrew is a photographer and writer from Great Britain and was once a guest on PhotoTraces. You can find his interview here. 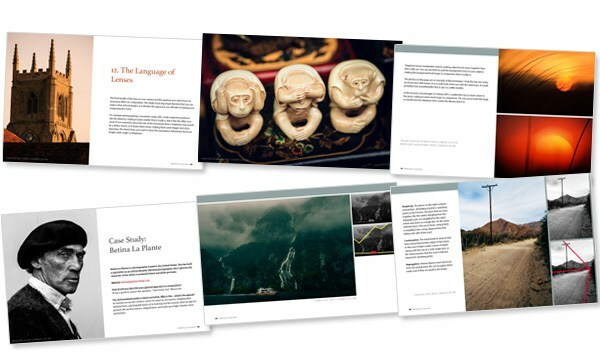 Andrew educates photographers of all levels with a wide variety of books dedicated to different aspects of photography. 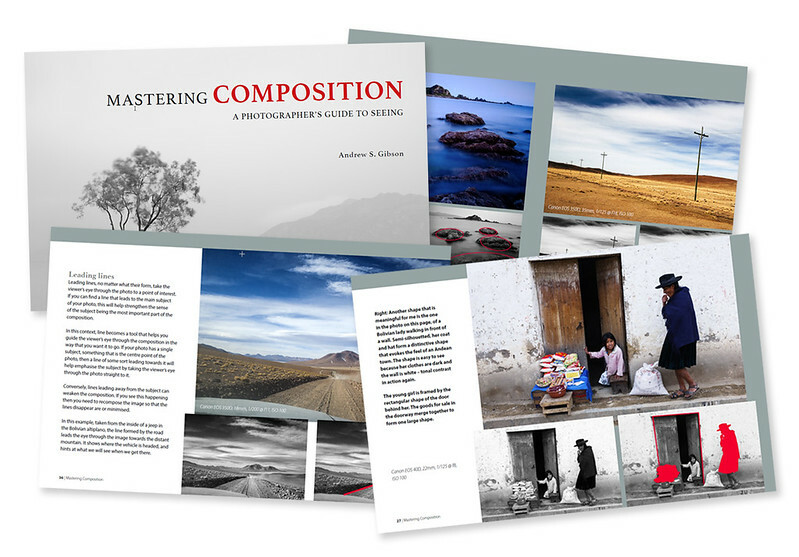 "Mastering Composition" is 150 pages and covers 20 different elements and rules of composition in photography with two case studies and interviews with famous photographers. The key to making composition stronger with rhythm lies in spotting the pattern or repetitive elements, then framing the scene in a way that emphasises them. This is a test of your observational skills, and you’ll get better at it with practice. When I bought this book a year ago, I went through it in one shot. I liked it a lot but thought it would stay in the archives with most of the other photography books I had already read. Instead, I was pleasantly surprised when I found myself opening it again and again to selectively use particular chapters and concepts. What is great about "Mastering Composition" is that the learning process does not have to be in the same order that it’s presented in the book. Simply pick and choose whatever interests you at a particular time. 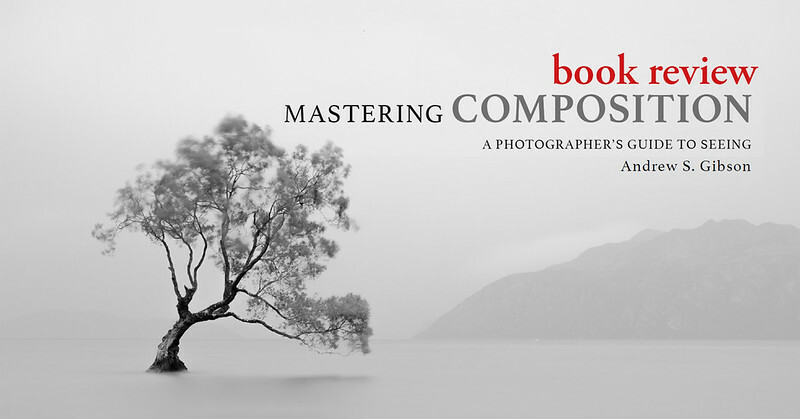 I highly recommend that you pick up a copy of "Mastering Composition" book and start learning.